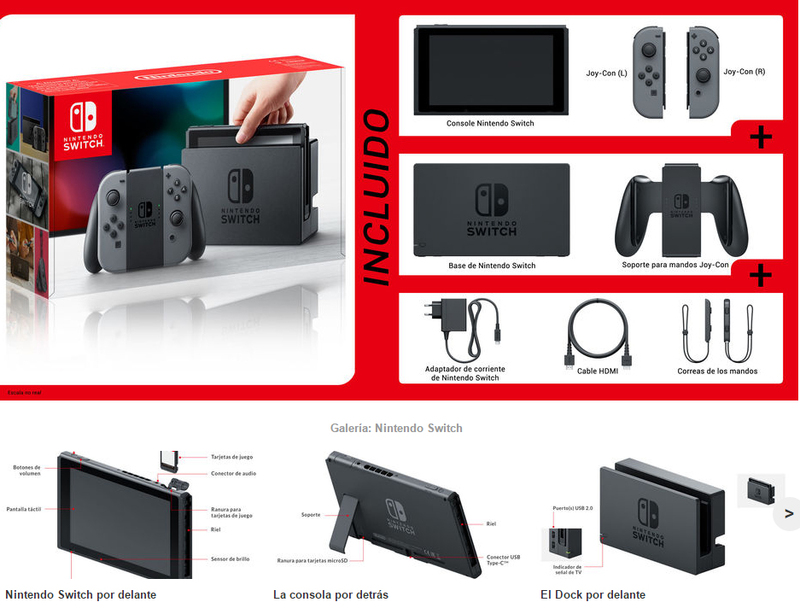 Nintendo made the expected “Presentation 2017” of Nintendo Switch in which it unveiled the final details of the console and the company has complied with the script: the first hybrid console that can be used as laptop and desktop will be released on March 3 worldwide , Including Spain, and will cost $ 299 (excluding tax) and 30,000 yen. In Europe there is no official price for EU directives, but stores are accepting reservations at 329.99 euros. The other great news is that The Legend of Zelda: Breath of the Wild will accompany the console as a launch title, ensuring that many users will get it on the first day. The epic trailer shown has put all our teeth very long. Although it has not yet been explained if the dock has any function other than support, it has been confirmed that it will be region free. Price of the console: 329.99 euros. Switch pro Controller price: 69.99 euros. Price of Joy-con controls (both): 79,99 euros. Price of a Joy-con remote: 49.99 US dollars. Price of the individual Dock: 89.99 euros. Dock: base to switch the console to the desktop mode, which will increase its power. It includes a USB 3.0 and a 2.0 port and will also output the images to the TV in HD thanks to its HDMI connection input. Joy-Con and Grip controls: the controls with which we will control the game console, in addition to the “Grip”, an accessory to hold them as if it were a traditional Joystick. Accessories: in the box are: the HDMI cable, power cable with which to load the console, and straps for the controls. Internet and Multiplayer: Nintendo switch will allow basic Internet connection via Wifi, so that among other aspects, you can connect up to 8 game consoles simultaneously to play online. The local multiplayer in the same console is confirmed for 2 people, but it is not known with certainty if this number can be extended to 4. Console modes: As confirmed in the presentation trailer, Switch will allow you to switch between 3 positions or game modes to suit the different needs of the players. By means of the “tabletop” mode we can simply use the console as a screen or tablet, TV mode allows to play comfortably on a television and thanks to the “handled” mode we can play as if Switch was a portable console, with the controls on the sides. 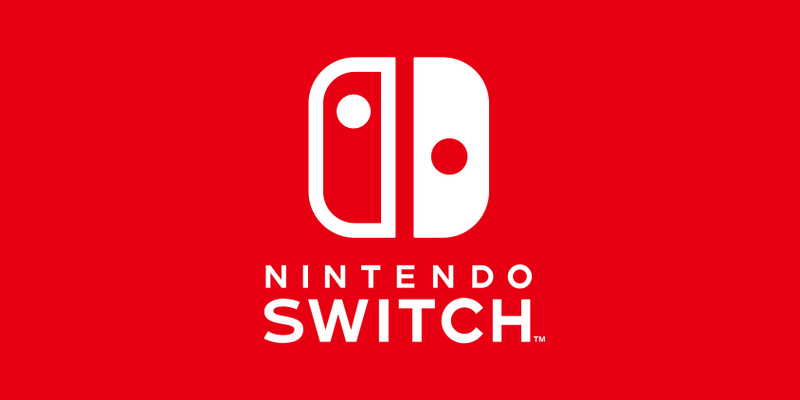 As the presentation of the console paid a lot of attention to the Joy-Con, two games were announced that will presumably be in the launch of Nintendo Switch and will make full use of their possibilities, allowing two players to participate with a single set of controls Joy “Con, each of them practicing like Wiimote. 1, 2, Switch is a game for all audiences in which we have to be more outstanding of our rival than the console screen. In the demo video we can see some of its fun possibilities. As for ARMS, it is a kind of Punch-Out in which movements are detected using the new controls. The presentation closed with the announcement of Zelda: Breath of the Wild, but many new games were announced earlier, some of them already rumored. They confirmed secrets to voices like Splatoon 2 or The Elder Scrolls V: Skyrim, but it was shown for the first time the new Mario, that has left us all enchanted. These are the big announcements of games that have been in the conference. With launch scheduled for this same 2017, Super Mario Odyssey is open world Mario game in the same style as Mario 64 or Mario Sunshine, but with a much bigger stage this time and set in the real world. It gives the impression by the trailer that Bowser has kidnapped to the princess for the umpteenth time, and this time plans to marry with her. Mario will have to cross the real world with the aid of a cap with life of its own, which at least will be used as a floating platform for some jumps. Although absent at the conference, Mario Kart 8 Deluxe confirmed its nothing surprising existence thanks to a Youtube video, and also coming very soon: on April 28. This is the so often rumored full and expanded version of Mario Kart 8 for Switch.